Rachael Wild, born in Australia, has painted animals all of her life. With no formal artistic training she has developed a highly individualised and recognisable style. 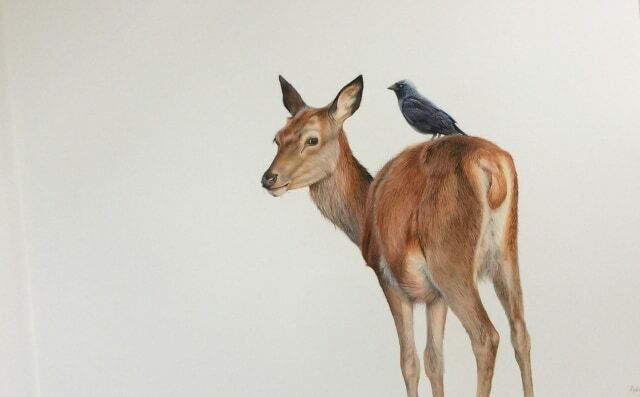 Her love of animals is the underlying factor that clearly shines through in her extremely realistic drawings. Capturing the personality and individual nuances of her subjects in her very detailed artwork, makes the observer feel an immediate emotional connection with the animals portrayed. Rachael trained at the Victoria Institute of Technology, Melbourne in Graphic Art and Design and worked for many years as a highly successful graphic artist both in Australia and then England, before deciding to follow her heart and life’s dream, becoming a full time artist.